OXFORD, Miss. — So, we are a little over 48 hours removed from the Rebels’ 31-16 loss to Auburn and we’ve put together some second-day-after thoughts. Looking back, the story of the game is likely the underperformance on the offensive side of the ball when inside the red zone. 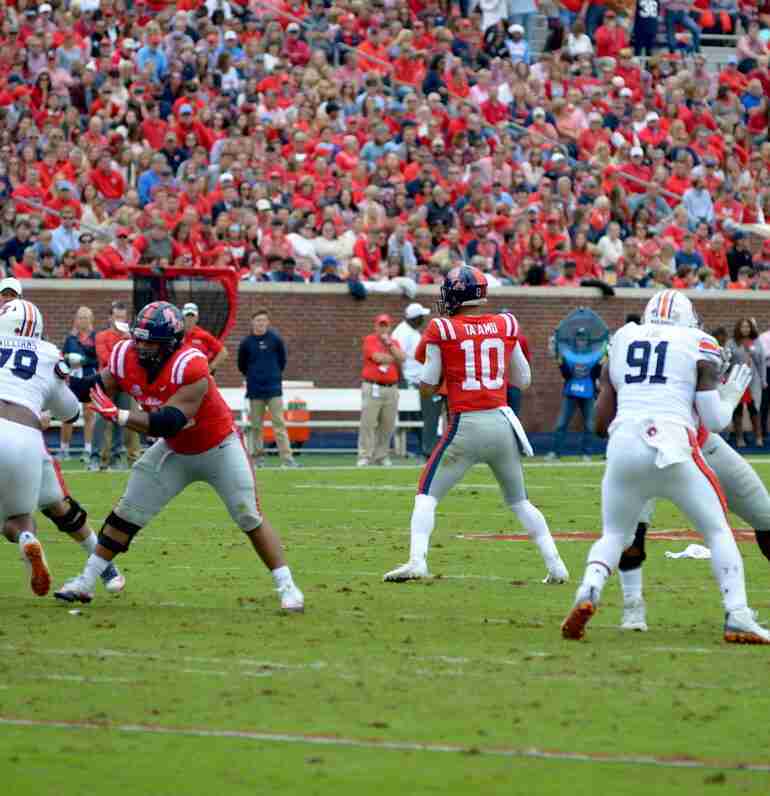 Throughout the contest, Ole Miss quarterback Jordan Ta’amu and the Rebels’ offense racked up a respectable 447 yards of total offense against a very stout and talented Auburn defense. The problem, however, was a lack of consistency when the offense needed to put the ball in the end zone. In fact, the Rebels moved the ball inside the Auburn 40-yard line on six of their first eight drives, but they only escaped with a total of 9 points. The lack of efficiency within the red zone was a glaring problem that will no doubt be addressed during Ole Miss’ bye week this week. “We did a good job of moving the football, but we didn’t have the points to show for it,” head coach Matt Luke said in the postgame press conference. Lack of production on the ground was also an area of concern for the Rebels as they picked up only 123 yards on the ground on 39 attempts. Running back Scottie Phillips was held to a total of 59 yards against a stout front seven on the Auburn side who were able to contain him in the middle along with slowing him down on the edge of the field. Ta’amu picked up a total of 43 yards on the ground on 19 attempts and was sacked 5 times for 34 yards by the talented Auburn defensive line. In the end, the front seven for Auburn won the battle against the Ole Miss rushing attack and the Rebels need to come up with a way to improve that part of their game as the SEC defenses will continue to come their way in the following weeks. Going into halftime, most Rebel fans were likely fairly pleased with an Ole Miss defense that had held Auburn to 10 points as the Tigers took a 10-6 lead into intermission. Throughout the first half, the Ole Miss defense was getting solid stops on 3rd down and also forced the Tigers to miss an early field goal to keep the deficit at a mere four points. 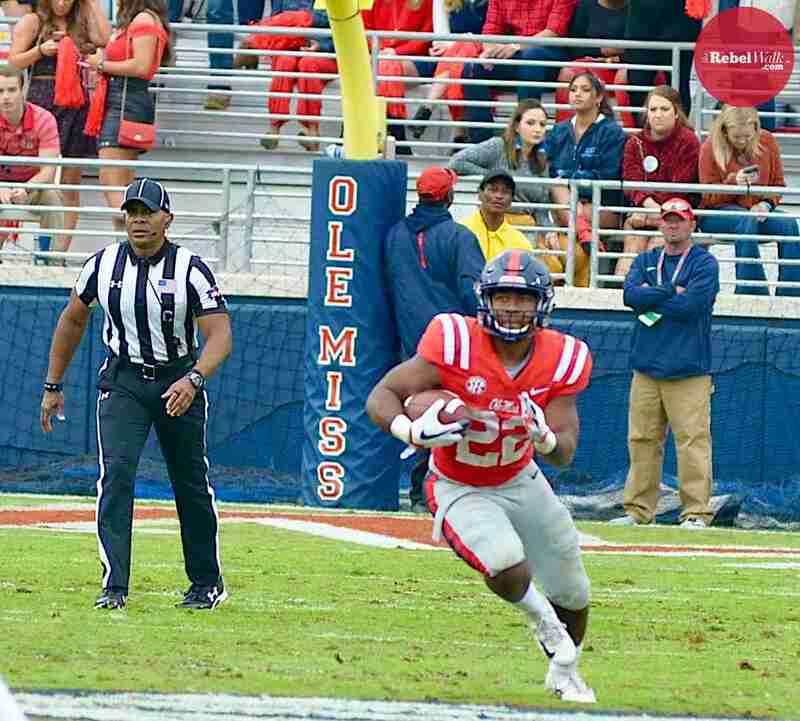 With the Rebels’ offense sputtering in the first half, the defense actually carried the Ole Miss team into the second half with a manageable score and a real shot at winning the game. However, it seemed as though Auburn was able to make key adjustments on the offensive side of the ball at the half and hit the ground running in the 3rd quarter. The Tigers put up a seemingly insurmountable 21 points in the third period that had the Rebels down, 31-9. While the offense continued to have trouble in the red zone, the defense began to struggle, as well. The Landsharks were unable to keep the ground game under control and Auburn ultimately rushed for a total of 269 yards on the day. Auburn running back JaTarvious Whitlow picked up 170 yards against the Rebel defense, it is likely that during the bye week, the rushing defense will be an area of big emphasis moving forward. Even in this loss, we can pick pieces and parts of the game in which the Rebels did succeed–specifically, junior wide receiver A.J. Brown. Brown, even with his talented counterpart D.K. Metcalf sidelined for the season with a neck injury, racked up 155 yards and a touchdown against the Tigers. 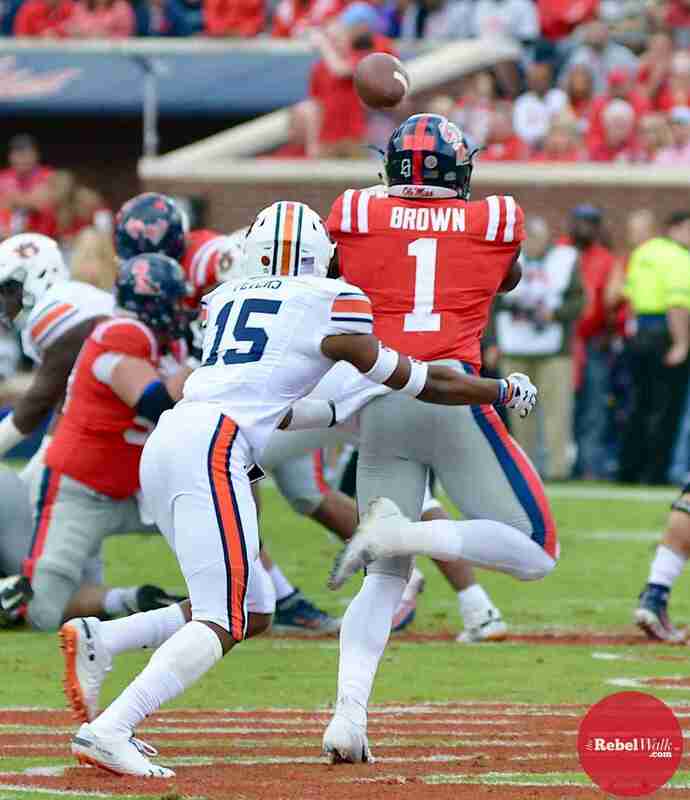 Brown is expected to forgo his senior season in favor of pursuing an NFL career. Draft analysts consider the Starkville, Miss. native a first-round receiver who could make an instant impact in the big league. 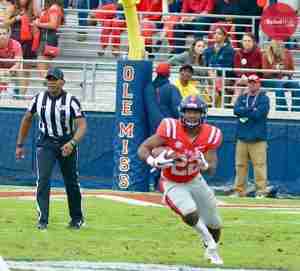 Ole Miss enjoys a much-needed bye week before hosting South Carolina November 3. The Gamecocks currently sit at 3-3 in league play and host the Tennessee Volunteers Saturday.